Essex Outdoors - Bradwell0345 200420work Outdoor Pursuits CentreEssex Outdoors Bradwell is a leading provider of sailing and water sports activities for all ages located on a sheltered stretch of the tidal Blackwater estuary. In addition to this Essex Outdoors Bradwell offers shore based activities including archery, high ropes and Gladiator challenge. There is a purpose built residential unit with accommodation for up to 68 young people and a new tented village which can cater for up to 50. Essex Outdoors Bradwell offers a wide range of adult courses. No matter what your experience or age you will be able to find a course that will suit your ability. Our new yacht fleet and RIBs put Essex Outdoors ahead of the competition. Our experienced team of instructors will ensure that everyone gets the most from their experience. So why not take a look at what is on offer. 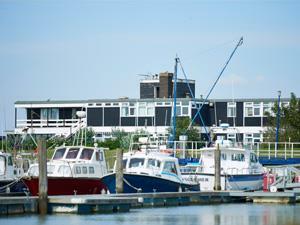 Essex Outdoors Bradwell is a leading provider of sailing and water sports activities for all ages located on a sheltered stretch of the tidal Blackwater estuary. In addition to this Essex Outdoors Bradwell offers shore based activities including archery, high ropes and Gladiator challenge. There is a purpose built residential unit with accommodation for up to 68 young people and a new tented village which can cater for up to 50. Bradwell Centre for Outdoor Learning is well-recognised as one of the leading providers of sailing courses in the south east.. It has also recently earned a Learning Outside The Classroom 'Quality Badge' in recognition of it's high-quality service.